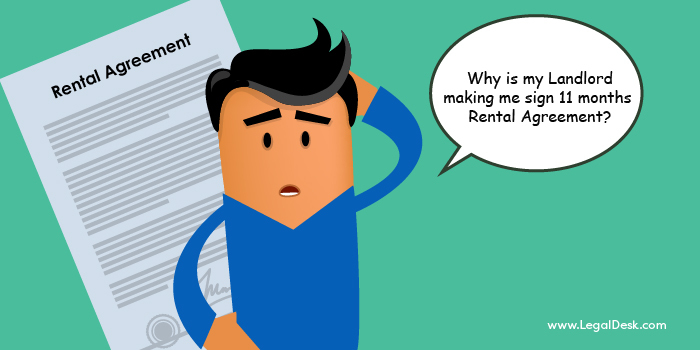 Why Make A 11 Month Rental Agreement? Ever wondered why your landlord wants you to sign a 11-month rental agreement? Why 11-months after all, why not just get it done for the year? What’s the big deal, it’s only a matter of a month right? We are here to answer your questions about the 11-month Rental Agreement. A rental agreement is a document that defines the legal relationship between a landlord and a tenant. It sets out certain obligations of each party and also acts as an evidence, in case any dispute arises regarding the property. A rental agreement contains the duties and responsibilities of all the parties concerned. A good rental agreement should ideally specify the names of the parties living in the building and clearly mention the date of the rental period, that is, contain the tenure of tenancy. Specific dates from which date to which the lease of the agreement would be valid have to be mentioned here. Some agreements also go the extra step and mention the common duties of all the tenants towards each other and the landlord too. The more detailed a rental agreement is, the better chances of reducing liability of the parties and also having a solid legal backing. If a rental agreement is set out for a period of 12 months or more it needs to be registered and hence, to avoid the lengthy process of registering the agreement, most people go in for 11-month agreements which is the cusp between having the agreement registered and having a document that is recognised by the law. In a recent 2014 judgment, the Karnataka High Court declared that 11-month agreements can no longer be produced as evidence in the courts as any transaction affecting the property. So, if there arises a dispute regarding property and that particular dispute is governed by a 11-month agreement, then the agreement cannot be used as an evidence in the court for all purposes. Planning On Signing A 11 Month Agreement? Think Twice! Section 107 of the Transfer of Property Act says, “A lease of immovable property from year to year, or for any term exceeding one year or reserving a yearly rent, can be made only by a registered instrument.” However, in this particular case the HC order gave importance to the following paragraph of the Section 107 which says, “All other leases of immovable property may be made either by a registered instrument or by oral agreement accompanied by delivery of possession.” Section 49 of the Act also says that unless a document requiring registration is not registered, then it cannot “be received as an evidence of any transaction affecting such property.” The court held that if a document is something that governs the rental agreement only for a period of one year, but it is a written document and not just an oral agreement, then that particular document needs to be registered in the sub-registrar’s office after paying the stamp duty on it. Therefore, under Section 49, they become inadmissible in court if not registered. In this particular case, the court also held that, even if the unregistered agreement cannot be used as evidence in the court of law it can still be used as corroborative (or supporting) evidence to the existence of any prior agreement. This means that such an unregistered document on it’s own cannot be admitted in the court of law but it can still be valid for usage as a supporting evidence. This, of course, is a legal distinction which lies under the judge’s discretion as to its claims of validity. Even Section 17 (d) of the Registration Act talks about a similar provision which mentions that a lease or a yearly rent cannot be valid unless it is a registered instrument. The 11-month agreement is currently subject to a lot of scrutiny. It needs to be mentioned that such rental agreements are usually made in favour of residential property rather than commercial property as they have a longer lease period and such documents are mandatorily required to be registered. We are here to help you create a legally valid rental agreement. All you need to do is login to our website, search for rental agreements and fill out the required details. And voila! You have a rental agreement. Not only that, our services also extend to offering you a plethora of legal documents that are customized for your needs. Our website is easy-to-use, convenient and will definitely prove to be highly efficient and time-saving. 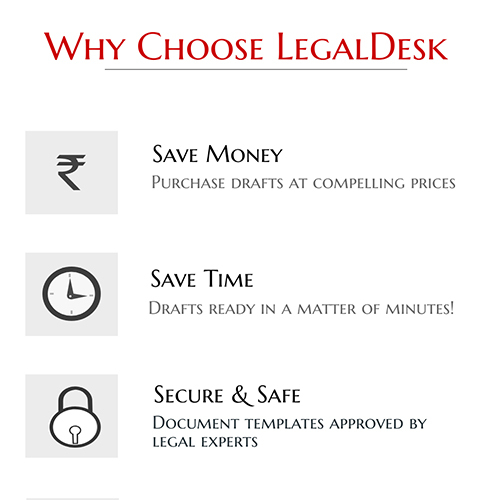 So stop waiting around at your lawyer’s office and just search for LegalDesk.com! There are 1 comment on "Why Make A 11 Month Rental Agreement? ".